Sustainable agriculture educators will gather at the UC Santa Cruz farm and other campus locations for the seventh national conference of the Sustainable Agriculture Education Association July 29-31. 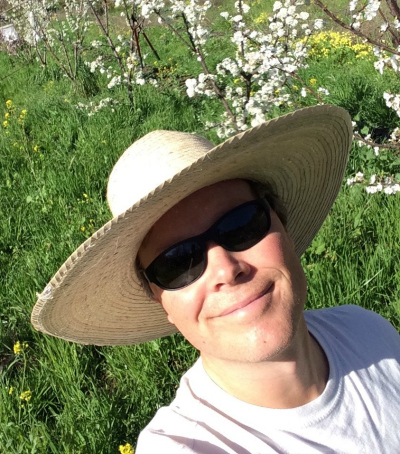 Lead conference organizer Damian Parr first came to UC Santa Cruz as an apprentice on the farm 25 years ago. He later earned his BA in environmental studies and agroecology here and a Ph.D. in Agricultural Science Education at UC Davis. 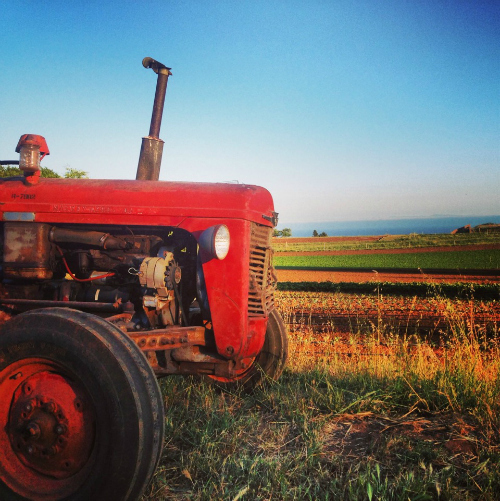 Nearly 400 agriculture educators, trainers, food system activists, farmers, cooks, and students of sustainable agriculture from around the country will visit UC Santa Cruz July 29-31 as the Sustainable Agriculture Education Association holds its seventh national conference. Though this is the first year UC Santa Cruz and the Center for Agroecology and Sustainable Food Systems (CASFS) have hosted the conference its origins are in the pioneering organic agriculture and food justice work being done at the UC Santa Cruz Farm and Environmental Studies Department. Under the theme of “Ecology of Food Systems,” the education-focused conference will explore critical issues of how we teach and learn about social and food justice, said CASFS education coordinator and alumnus Damian Parr (Kresge, ’00, environmental studies/agroecology), the lead conference organizer who helped found the Sustainable Agriculture Education Association. Conference activities and programs integrate practice and theory, facilitating participants’ experiential learning process. The program includes World Café, Open Space Technology, traditional presentations and workshops, and field trips to regional agriculture education projects. Parr said the focus is on bringing colleagues together to learn from one another’s work, and to foster the development of personal and professional competencies in sustainable agriculture and food systems education. The Sustainable Agriculture Education Association grew out of workshops in the early 2000s and a group called the College Farms Sustainable Agriculture Educators Working Group. With grant support, the group began with workshops at the annual Ecological Farming Conferences in California. The first annual conference was held at Asilomar in January 2006 and was attended by 140 students, faculty, staff and administrators from more than 50 colleges and universities, and 15 statewide and national sustainable agriculture organizations. Parr, who first came to UCSC 1991 as an apprentice in the Ecological Horticulture program, remembers two principal outcomes from that first conference: plans for a second conference (which was held at Cornell in 2007) and the creation of non-profit organization that would work to advance the field of sustainable agriculture education nationally. He later became the SAEA’s first staff member and executive director. At UCSC he is research and education coordinator and helps develop curriculum and links between CASFS and the campus at large, particularly with the Environmental Studies Department, where he holds a lecturer position. The conference is a project of the UC Office of the President’s Global Food Initiative, and is co-hosted by UC Davis, UC Berkeley, University of Hawai’i, West O’Ahu, Cal Poly San Luis Obispo, Agriculture and Land-based Training (ALBA), Merritt College, and Stanford University.